Over the past 5 years, adoption of finance apps has rocketed 354%, making apps the “channel of choice” for consumers to manage their finances. The number of sessions has also surged with usage as high as 10x per week in some markets. 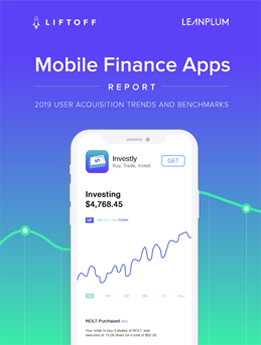 Download the 2019 Mobile Finance Apps Report to get the latest insights on mobile finance apps including user acquisition costs, conversion rates and consumer engagement trends. Access the report in Japanese or Spanish. 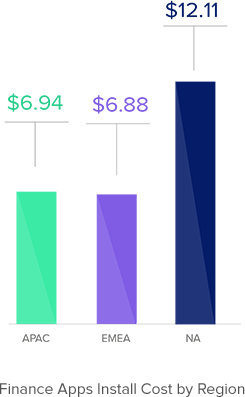 Want to learn more about marketing finance apps? If you want to learn more about the data highlighted in the report, watch our on-demand webinar 2019 Finance Apps: Trends and Benchmarks.